Like a lot of the years in the past, Gerardo will be on duty this year on Christmas Day. So we had 'our' Christmas on Christmas Eve! 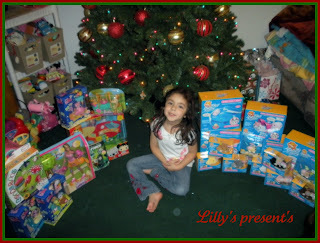 Lilly with all her gifts...she is really into Zhu-Zhu Pets this year...so she got A LOT of them! Jacob is pretty much obsessed with WWE wrestling, so he got a lot of wrestlers & a big wrestling ring. But his favorite gift of the evening was a new T-Mobile Touch Screen Cell Phone!! I got spoiled this year too...as usual! LOL! 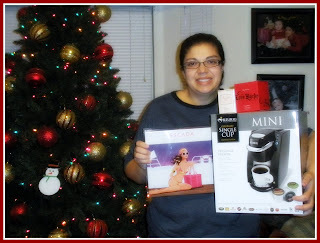 My hunny got me a Keirug One Cup Coffee Maker & perfume from Victoria's Secret, Escada & Dior!!!! 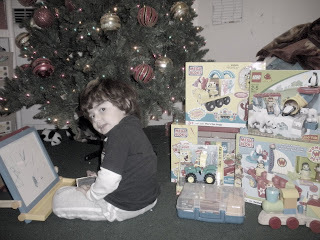 Aaron got so many of his favorite things! He loves to draw so he got an art set & a lot of Yo Gabba Gabba & Wonder Pets building blocks!! We had a lot of fun and we are so blessed this Holiday Season!! CLICK HERE TO SEE ALL OF THE PICTURES OF OUR WONDERFUL CHRISTMAS EVE!! Here is our tree this year with some of our presents under it!! I am so exhausted from wrapping presents...I need a nap..LOL!! We are truly having one of the best, most blessed Christmas's that we have EVER had!! 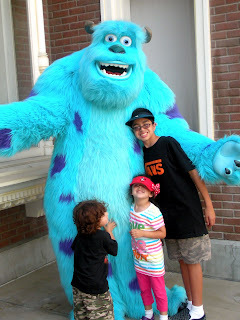 We are so lucky that Gerardo has such a wonderful career & we are able to get our children pretty much everything that their little heart's desire!! Pretty soon we will hopefully move into a bigger & better house, (as soon as this house sells)...and our children will have an even more blessed, happy life!! Thanks to God for all he has given us!!! 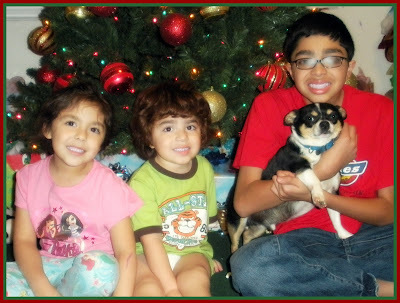 Our kiddos under the tree...Lilly, Aaron, Jacob & Spike!! They are so excited for Christmas, they can barely contain themselves...LOL!! What a wonderful Holiday Season we are having!!! 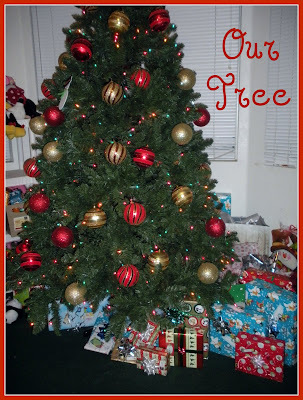 Click HERE to see all the pictures of our Christmas Tree!! 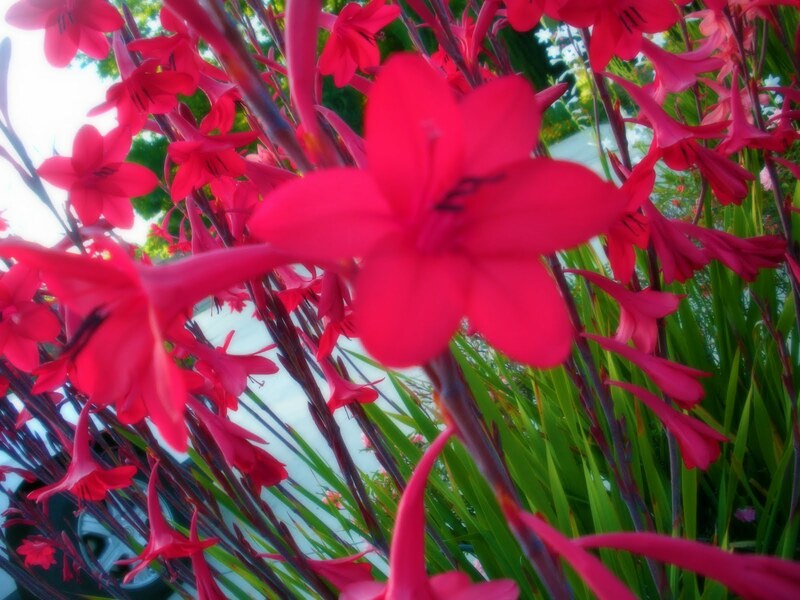 These are some pictures from our last trip to Los Angeles. We decided to drive around & 'sight-see' some of Hollywood & we ran into a few places & things that we definitely don't have around here! There are SO many signs with advertisements for movies and t.v. shows! I loves seeing all of these! 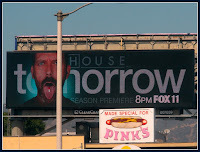 Some of them are really big and extravagant...and some are just billboards like this one for "House". Gerardo was dying to visit "Pink's", a world famous Hot Dog stand in Hollywood, but after we saw the HUGE line, we decided not to stop! Maybe next time! 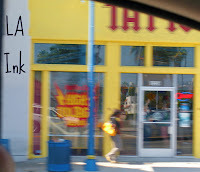 This one caught us by surprise, but when we were driving down one of the streets we ran into Kat Von D's tattoo shop "High Voltage" that is shown on her t.v. show "LA Ink"...we should have stopped by for some 'ink'..LOL..! 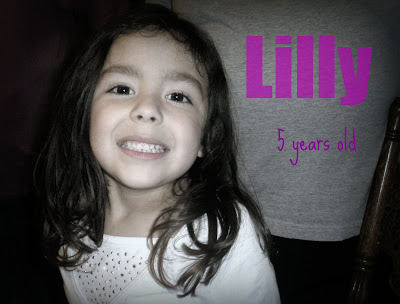 These pictures are from over 1 year ago, but they are just so cute...I had to make an album for them!! 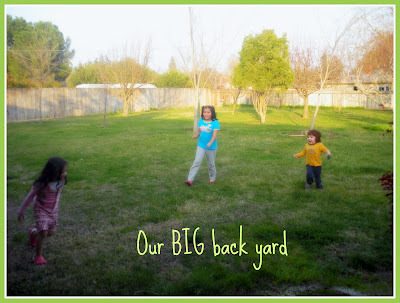 Especially when I see how much the kiddos have grown in the past year!! 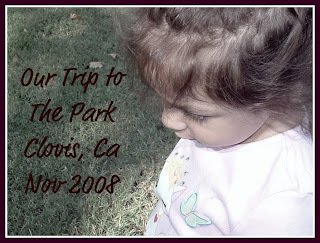 In August 2009 we took a Chavoya Family Vacation to Morro Bay! It was wonderful, relaxing, fun, adventurous..all of the above!! 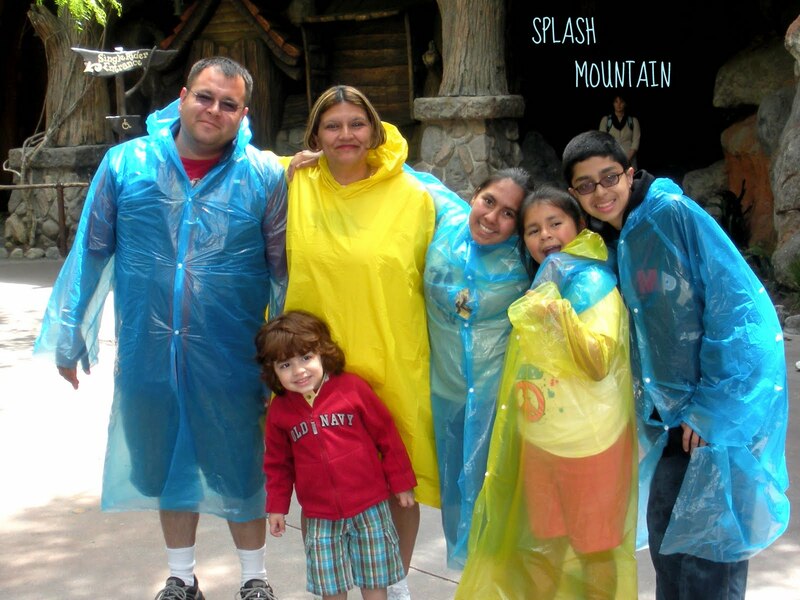 It was the first time we had been on vacation all together as a family with all of the children! All together was my mom, my dad, my sisters Cindy & Sharon, my foster bro & sis Gilbert and Angelica, my little sisters Martina & Kimberlyn, My kids Jacob, Lilly and Aaron, and of course, our dog Spike!! We had an awesome time! 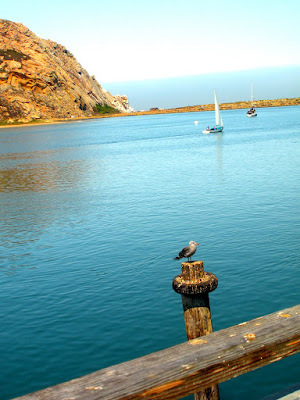 We spent a lot of time in Morro Bay, but we also visited San Luis Obispo, Pismo Beach & Avila Beach. 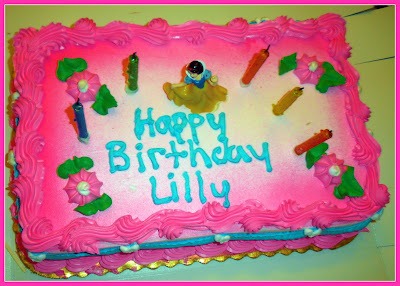 CLICK HERE TO SEE ALL THE PICS...THERE ARE A LOT OF PICTURES..MAKE SURE & TURN UP YOUR SPEAKERS! !